Nerd Machine asks: what are you nerdy about? Nerd Machine asks what are you nerdy about? Why would Nerd Machine ask me what I’m nerdy about? Personally, I didn’t think I was nerdy about anything at all. When thinking of a nerd-type, Ross Gellar from Friends often popped into my head. I never really pictured myself as a nerd-type person. Well, it seems this was the case because I had no idea what a nerd truly was. 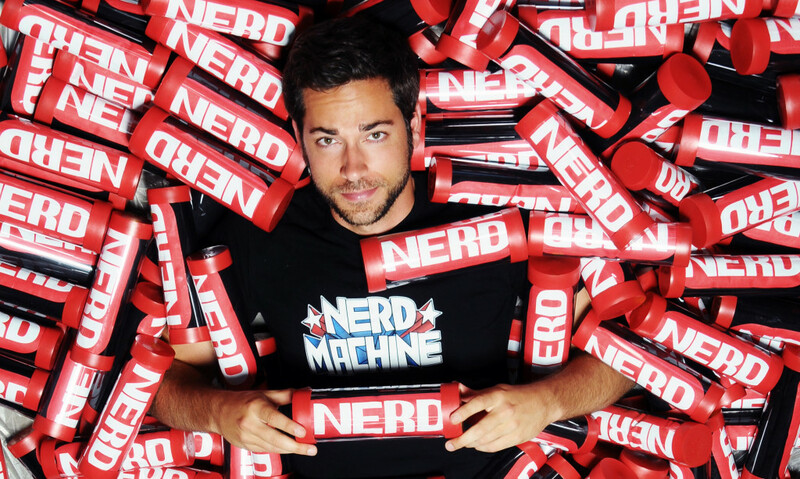 My little bubble was burst, thanks to Zachary Levi and his Nerd HQ. Curses to you Zac. CURSES. Many have told me I need to seek professional help for my nerd-like addiction to the movie Pitch Perfect. Apparently, when you’ve got the soundtrack, and can sing every song on the soundtrack, you’re a nerd. I’ve been told if I can recite the entire movie, verbatim, you’re a nerd. When you buy the movie on Blu-Ray and keep it by your bed, just to have it in case nothing else is on, and watch it at least once a day a week, you’re a nerd. I denied it. Called them all crazy. There’s no way I’m a nerd. I. Was. Wrong. Zac has made me see the error of my ways, and now #IWantMyNerdHQ there’s no doubt about it. I’m a movie and television nerd. I truly am. I’ve got nerd-like tendencies for Friends, Will & Grace, Fringe, White Collar, Suits, Ground Floor, the entire Fast & Furious franchise (minus Tokyo Drift of course), Grosse Pointe Blank and so many others. How can I not support the Nerd HQ 2014 event happening in California in July during the San Diego Comic Con International? It’s just pure awesome to have a FREE EVENT that will have fans, and celebrities partying together! Zac and Nerd Machine need help putting this year’s event together for Comic Con. He quickly realized it was not going to be something he could do on his own for 2014. A lot goes into an event like this: venue, staging, production crew, event lighting (celebs need to look good, yo!) video, audio, staff, security and activation. The more donated to help bring the event to the fans, the better the event will be! What makes this event even more endearing to me? We all know I love a good freebie, but when it’s also attached to a great cause, I am ALL IN. This amazing Nerd HQ event helps raise money for Operation Smile. Since Nerd HQ started, it has helped raise over $415K for Operation Smile through their amazing panel series “Conversations for a Cause.” It’s pure beauty when people come together for not just a bit of fun, and celebrity, but also for an amazing cause for children! 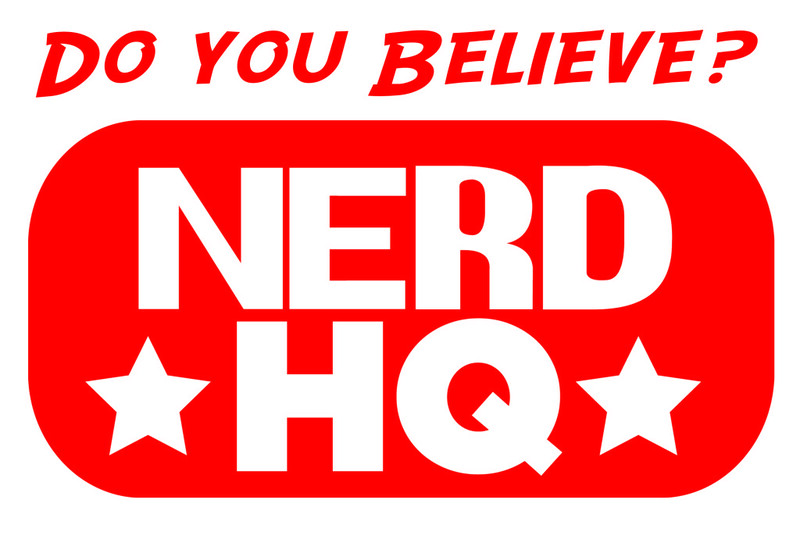 Head over and see how you can help out NERD HQ by visiting the campaign website! You can donate now to Nerd HQ, or simply help spread the word through Twitter, Facebook, Instagram, Google Plus, Reddit, or smoke signals if you want. Whatever blows your hair back! What are you waiting for!!!!! Go become part of the #NerdHQArmy – only the coolest people on Earth are doing it. BTW, my husband & I watched Pitch Perfect for the first time this past weekend & loved it. Hubby already ordered the soundtrack. I guess that makes us nerds to, lol. Damn right – be proud of your Pitch Perfect nerd tendencies! Now, tell your hubby there are not one, but TWO soundtracks for Pitch Perfect. You’ve got to get both of them. It’s a must for any self respecting Pitch Perfect nerd!